According to Cooper Lighting, baffle trims are popular for general and task-lighting applications. Open trims are most economical for down lighting, while reflector trims maximize the light output. Eyeball trims are used for directional lighting and work well in wall-wash applications. Trims with lenses that defuse the light and protect the light bulb and are generally used in wet locations. With many trim designs available, finding the right one for your lighting application is not difficult and installation is simple. 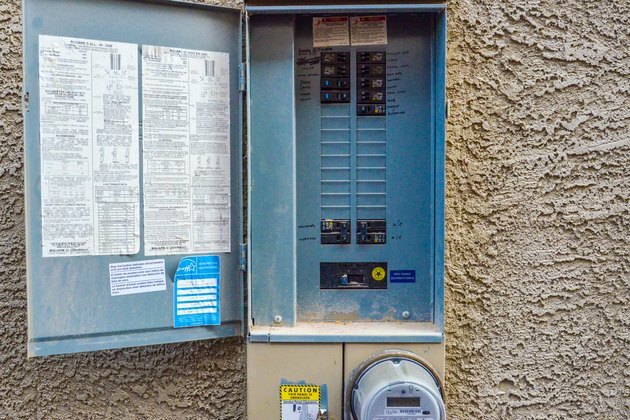 Turn off the power to the recessed lighting circuit by turning off the breaker at the main electrical panel. 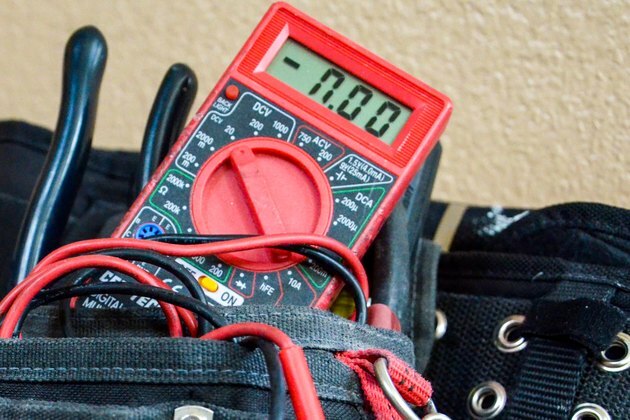 Using an electrical tester with two prongs, place one prong inside the recessed light fixture's socket, touching the bottom, and place the other prong against any metal inside the fixture. The tester light will not turn on if the power has been disconnected properly. 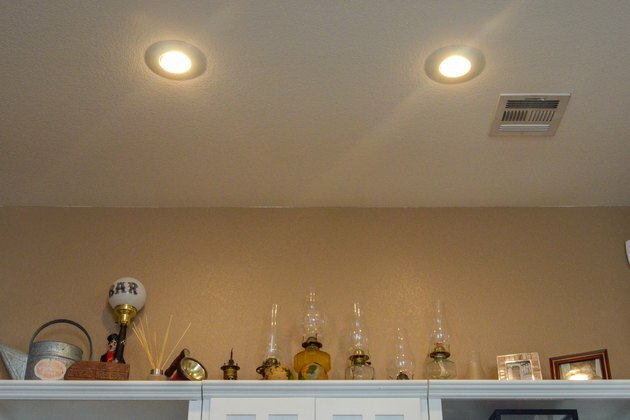 Install an open or baffle recessed lighting trim. These trims install into the fixture with two small coil springs. At the fixture, hold the trim to the ceiling with one hand while stretching the small coil spring with the other. 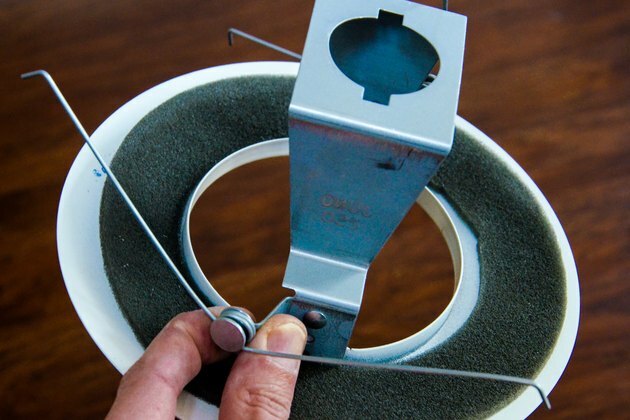 Hook the end of the coiled spring into any open slot on the interior of the light fixture or to the socket plate. Install closed trims or eyeball trims. A closed or eyeball trim is installed into the recessed fixture utilizing butterfly springs. Two butterfly springs are on opposite sides of the trim. Grasp the springs in each hand and squeeze the spring wires toward each other until they almost touch. 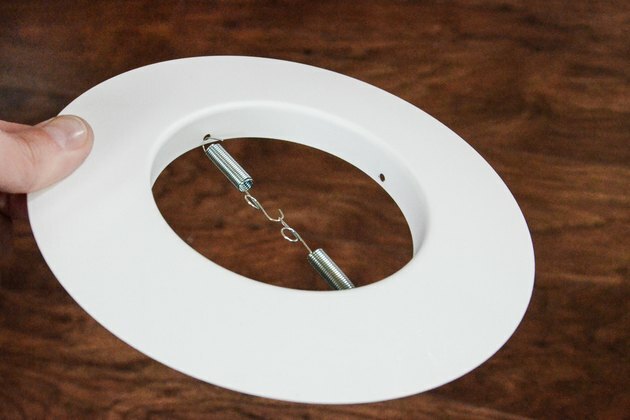 Slip the springs into the L-bracket inside the light fixture and release the springs. Push the trim snug to the ceiling. Turn on the power to the recessed lighting circuit by turning on the breaker at the main electrical panel.